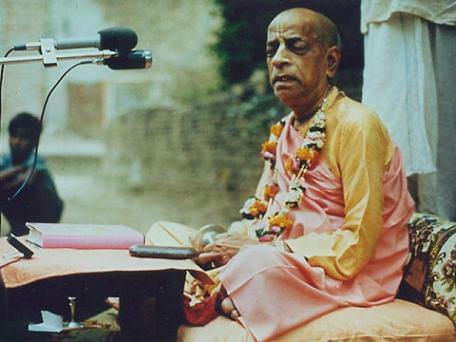 "So we request everyone to worship Krishna and chant the Mantra, irrespectively, never mind whether one is a devotee, a fruitive worker, or a salvationist at the ultimate goal. We don't disagree with anyone, namely the Karmis, Jnanis, Yogis, etc, although we are devotees. We simply request everyone to worship Krishna as the Supreme Lord and join with us in this great movement of Krishna Consciousness!"